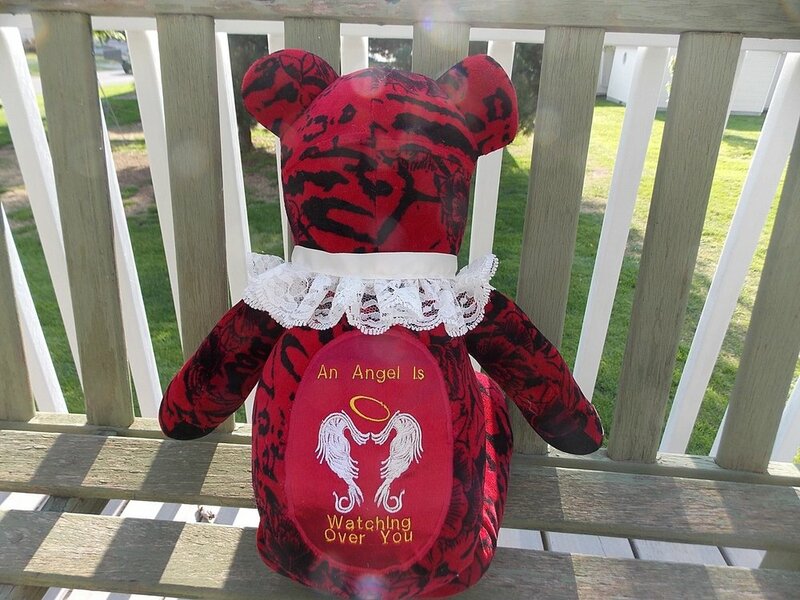 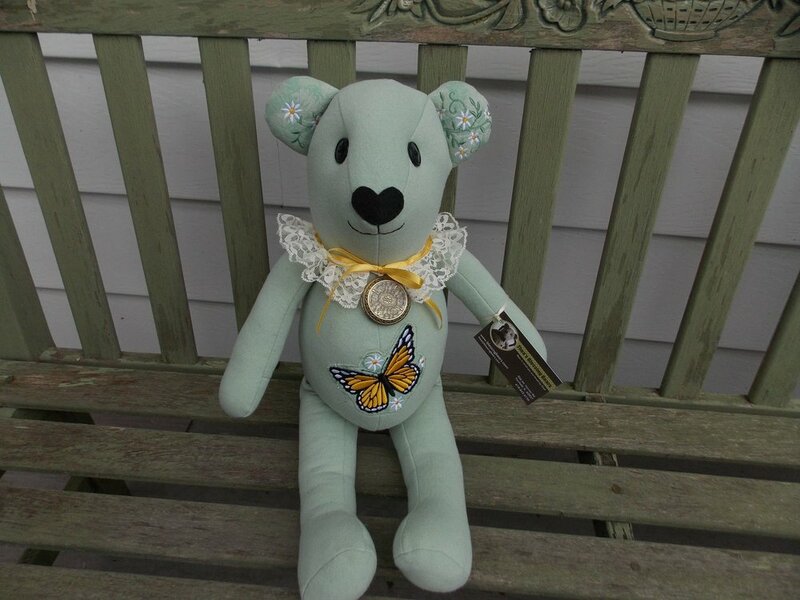 Remember your lost loved one with a bear customize as unique as they were. 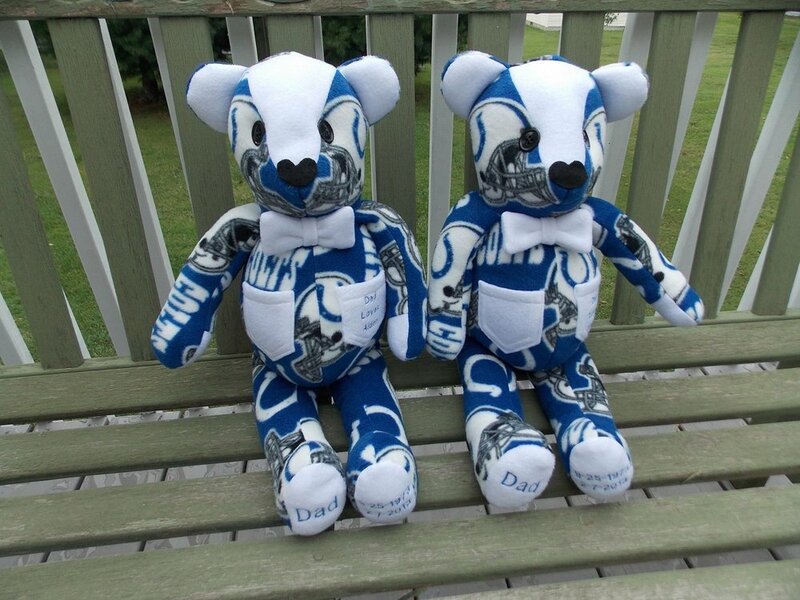 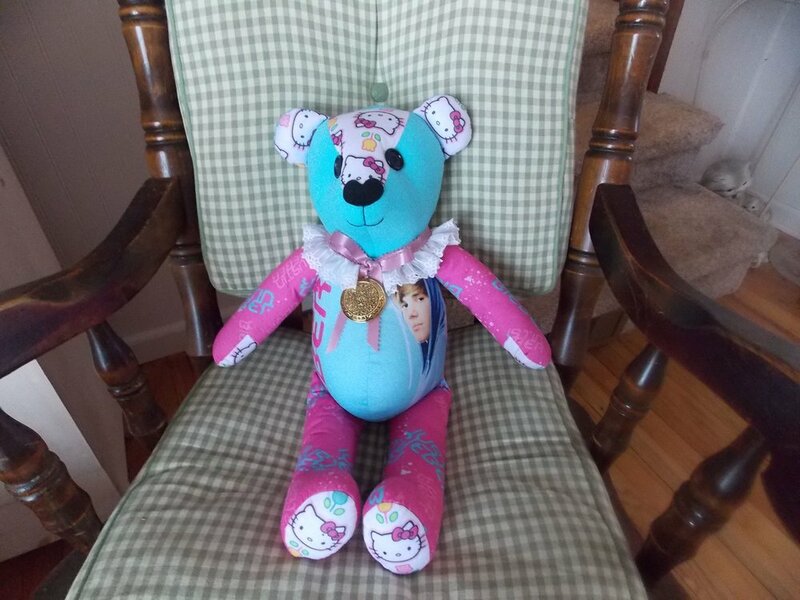 Turn a favorite sports sweatshirt or night gown into a bear. 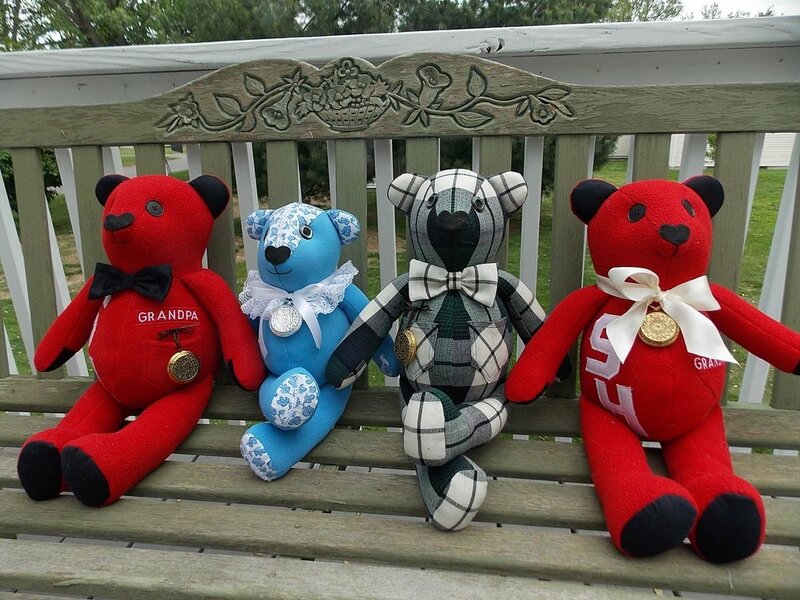 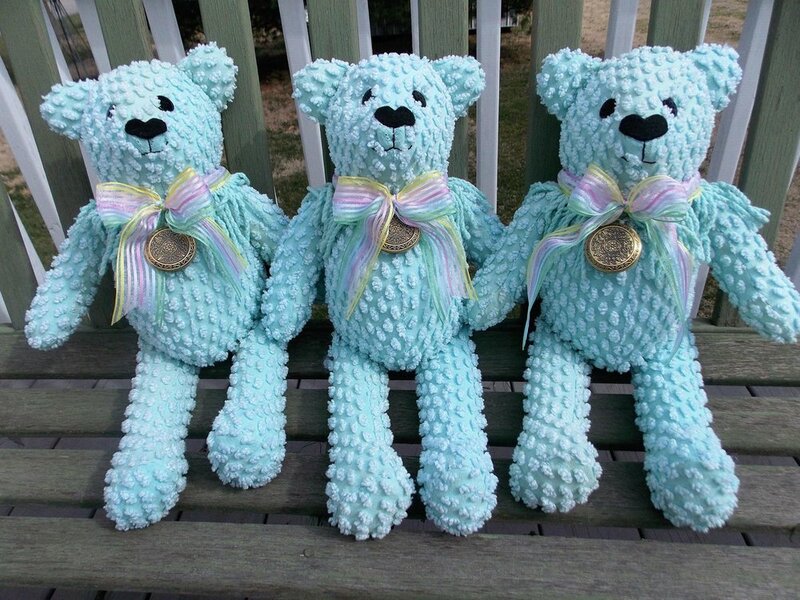 Grandma's dress and grandpa's overalls make aborable bears for grandchildren. 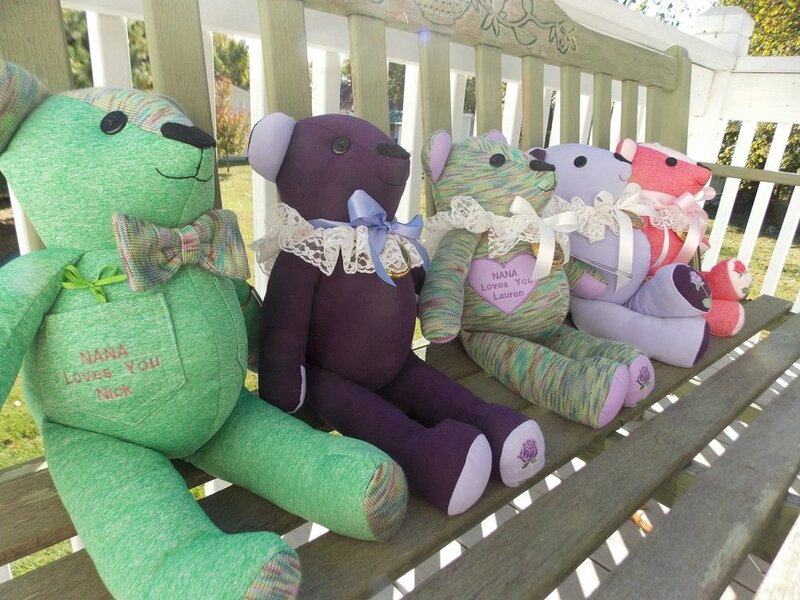 Add names, dates and special messages in embroidery on the paws or back.